Have you ever been talking about a service you’ve needed and someone says, “Oh you need my guy”? A hundred times, right? Well, that’s precisely why founder Joe Cassara launched You Need my Guy, so you can connect your guy with someone who needs them, and find a guy you need. We caught up with Joe to talk best startup advice, making moves, and being a good dad. I have a degree in Entrepreneurship, and although a long time ago, the seeds planted in those classes have stuck around (Thanks Syracuse University). After working for years in a corporate setting and then as a strategic consultant, I got to a point where I wanted to work my tail off for something that I owned. Unless I had the money to buy a business (which I don’t), starting one was a good option. Describe the moment when you realized you had to quit your day job, pursue your entrepreneurial dreams and start your company? I quit my corporate job that day, and began the journey that would end up with me starting a company and raising money. What inspired your current startup and what makes it so killer? LinkedIn for white collar. But, it has become saturated. Everyone is connected to everyone, and good at everything. Not at all helpful to see who your connections actually USE. Angies List is the most well known on a long list of review sites that set out to filter the choices we have as consumers into some meaningful subset of businesses. But, anything that costs money to search is a turnoff, and so Angie falls short, along with the others. Besides that, it’s all directories. Who knows who the business owner is, and if they’re legit or not. 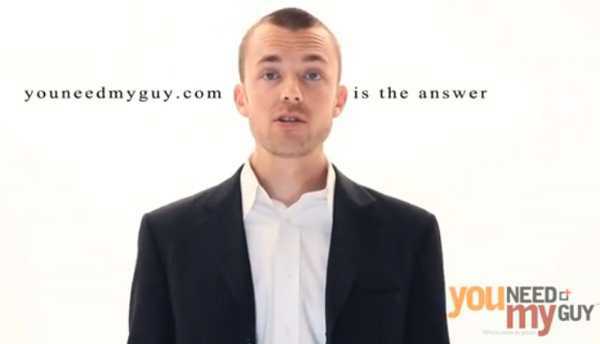 You Need My Guy is so killer because it merges social with doing business. So, it allows users to see who their friends/contacts hire. Since users can only list ONE ‘guy’ per category, the resulting data is very pure. How has work on your current startup different from other projects you’ve been involved with? Most other projects that I’ve been involved in have been work for someone else’s established business, on an established process, and the job has just been to make them better. That’s hard enough, but with You Need My Guy, it’s all from scratch. From product pricing to software development to media strategy, it all needs to be created. It’s a blast, but a ton of pressure at the same time. I get the most satisfaction out of what I’m building when it actually WORKS. That is, it solves a problem, fills a gap, and helps meet the goal of why I started the company in the first place. I’ve received a bunch of emails already from business actually landing new contracts solely from You Need My Guy. That’s incredibly satisfying, and I know more of the same will pour in as we grow. What’s the funniest thing that’s happened to you in your startup life? In college, while in the process of selling our business to Syracuse University, they asked if their intern could sit in on the negotiations. 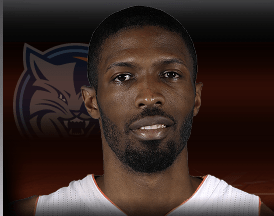 I said ok, and in the next meeting, Hakim Warrick, then star power forward for SU, now in the NBA, was right next to me as we ironed out the details of the deal. What’s the best startup advice you’ve ever received? Don’t do too many things. For me, I need to be a good husband, good dad, available friend, and then I can let myself dig in at my startup. Everything other than that, I say no to, because although cool, if it doesn’t have a purpose, it’s best to let it go! What advice do you have for entrepreneurs who are just starting out? There is an abandoned house near RIT college in Rochester with the words “MAKE MOVES SON!” spray painted on it. I think that sums up my advice. Do something. Anything. Make a phone call, write something, make progress. Stop talking about your idea, and get it done. Make moves! I’m inspired by challenge, for sure. I don’t think that I was born to be comfortable and be in a job that I could do with half my brain tied behind my back. Since I’m a parent, and kids learn by observation, I want to teach my kids to create things. So, my thoughts usually go to my kids when I’m in the middle of a challenge. 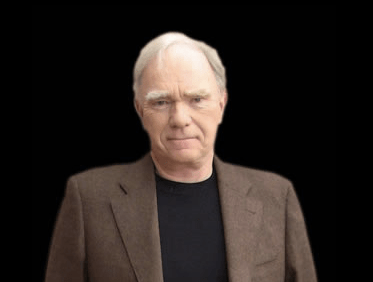 There is a writer named Robert McKee. He’s just about the gold standard on writing stories. I’ve read a bunch of work by his former students, all of who talk about the value of looking at your life as a story, and the benefit of thinking like a screenwriter as you consider your role as husband, father, business owner, etc. So, I’d love to dine with father story, Robert McKee. Since places like Applebees make awful stories, I’d suggest a hole in the wall Polish place where we could have homemade sausage and dark beer. Pandora. Right now it’s a mix of Imagine Dragons and The Lumineers. It’s winter in Rochester…music choice has to match the weather. For sure. It’s brought me into relationships with a whole other group of people that are doing similar things. It’s important to be able to celebrate and commiserate with peers that are also starting businesses. Besides that, I try not to talk too much about my work when I’m with family and friends, because I don’t want to be defined by a project or business that I’m running. Launching a business has taught me that I can’t do everything. It’s just impossible. I can’t be a good dad and also take every meeting or phone call that I’m asked to attend. So, I need to filter those and let the roles that are important rise to the top. If someone wants to meet for coffee and it doesn’t directly affect my business, I’ll offer to call them on my way home, so that I can be home as early as possible and try to be a great dad. This translates really well to most aspects of life… and has helped me focus my time and energy on those close to me. Rochester, NY. The startup scene is really exciting here. With a few colleges that focus on entrepreneurship, many local investors who are supportive of startups, and a ton of people way smarter than me, Rochester is a great place to grow a business. How can the KillerStartups community and readers help you? Hey, thanks for asking! Go to You Need My Guy, create an account using a social network, and list at least 5 people you love doing business with. If you’re a ‘sneezer’ and want to test the premium version and blog/talk/promote You Need My Guy, email joe [at] youneedmyguy [dot] com and I’ll upgrade you to a premium account free for a month.